We’d love your help. 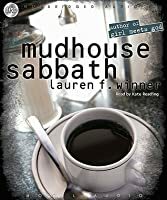 Let us know what’s wrong with this preview of Mudhouse Sabbath by Lauren F. Winner. To ask other readers questions about Mudhouse Sabbath, please sign up. I remember loving this little book. I gave it one more read before I mailed it to a friend. Winner writes about bringing her former Orthodox Jewish practices into her Christian faith. She underscores the differences between individualism (most Christians) and living in community with shared rules (most Orthodox Jews). I especially liked the rhythms of Jewish grieving: aninut (the time after death, before burial); shiva (seven days of intense mourning); shloshim (the first month after death, edgi I remember loving this little book. I gave it one more read before I mailed it to a friend. I especially liked the rhythms of Jewish grieving: aninut (the time after death, before burial); shiva (seven days of intense mourning); shloshim (the first month after death, edging back to quotidian rhythms); kaddish (full year of mourning, praying twice daily in community required); yahrtzeit (fasting on the anniversary of death). This makes sense. But. A Christian mourner can't sit shiva if there isn't a community to sit shiva with. So Winner's take-away is that we ought to slow down the grieving process and allow time to truly mourn. "The ancient disciplines form us to respond to God, over and over always, in gratitude, in obedience, and in faith." "Food is part of God's creation. A right relationship with food points us toward Him." "To invite people into our homes is to respond with gratitude to the God who made a home for us." "Sure, sometimes it is great when, in prayer, we can express to God just what we feel; but better still when, in the act of praying, our feelings change." I liked this book very much but I have to admit that my first impression was that she was pining away for her former religion, even once to say ' Jews do this better ' and wondered why she ever converted to Christianity when it was so clear she definitely had one foot in her former life. Then I had an 'aha' moment. I moved to England and lived there for a year, one of 8 trips across the pond over the decades, and I loved my home, my long distance country walks, seeing pheasants and hares, sheep, I liked this book very much but I have to admit that my first impression was that she was pining away for her former religion, even once to say ' Jews do this better ' and wondered why she ever converted to Christianity when it was so clear she definitely had one foot in her former life. The third or fourth time I have read this little jewel of a book, reminding me to make life holy. A quick but rich read. Just what I needed. Highly recommended by a good friend. Review to follow. My introduction to Lauren Winner's writing came more than a decade ago. My wife had read and liked Girl Meets God and loved it. I picked up her other book, Mudhouse Sabbath because I loved the premise. Winner's turn toward God took her through Orthodox Judaism to Christianity (the story recounted in her first memoir). Mudhouse Sabbath was about the nourishing spiritual practices she found in Judaism and missed after her conversion to Christianity. She wrote appreciatively about what she found in My introduction to Lauren Winner's writing came more than a decade ago. My wife had read and liked Girl Meets God and loved it. I picked up her other book, Mudhouse Sabbath because I loved the premise. Winner's turn toward God took her through Orthodox Judaism to Christianity (the story recounted in her first memoir). Mudhouse Sabbath was about the nourishing spiritual practices she found in Judaism and missed after her conversion to Christianity. She wrote appreciatively about what she found in Judaism and how these practices continued to nourish her, and weren't incompatible with her new faith. 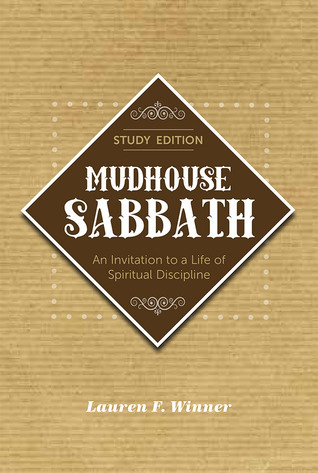 Paraclete Press has just released the study edition of Mudhouse Sabbath. This is not a rewrite. The chapters have the same format as they did when Winner first conceived the book. In Winner's new introduction she notes a couple of places where she would now write it differently, especially in her failure to explore God's justice and her expectation of encountering Him as we work toward it (viii). For example, the practice of fasting and Sabbath have implications for justice in the Hebrew scriptures which Winner left unexplored in the earlier edition (ix-x). She also acknowledges her growing cautiousness about borrowing from Judaism as a Christian (urging humility and grace). The difference between this edition and its earlier incarnation (other than the new introduction) is the study notes. Winner's words remain the same but the chapters are peppered with quotations, selections from Jewish authors and Hebrew scripture and discussion questions. While Winner's original was thoughtful and engaged Judaism, it was much more a personal reflection on how she as a Christian convert could still appropriate these practices as part of her own spiritual life. That was the charm of the book. The study edition helps Christian readers engage these concepts and practices more thoughtfully for themselves. As detailed in her memoir Girl Meets God (which is amazing and a must-read, in the world according to me), she was an Orthodox Jew before converting to Christianity. In this book, she talks about 11 specific things Jews do that would possibly enrich Christian lives. For example, she says that much of Judaism is an action--specific prayers, for instance, and rituals--and there tend not to be counterparts for that in Christianity. So she compares and contrasts things like weddings and the Sabbath/Sh As detailed in her memoir Girl Meets God (which is amazing and a must-read, in the world according to me), she was an Orthodox Jew before converting to Christianity. In this book, she talks about 11 specific things Jews do that would possibly enrich Christian lives. So she compares and contrasts things like weddings and the Sabbath/Shabbat and mourning and even eating. I think the mourning chapter was my favorite (I know, right?) but it's so fascinating and, I think, appropriate the way the Jewish faith deals with mourning. (It's broken up into specific segments--the first week is the one most people have heard of, where the bereaved sit shiva and don't leave the house. But then there's another month where each Shabbat, they get increasingly involved back in their lives (specifically getting more involved in synagogue again). And then there's the rest of the first year of mourning. There are specific prayers and rituals, and I think it's just a really meaningful thing that makes a lot of sense. Mourning isn't something that's done by the time the funeral's over. I was curious about what this girl, raised Jewish in NY, currently living out Christian Faith in North Carolina. While I despise religion, and even Jesus says in Luke 15 that religion is more spiritually dangerous than overt immorality, I also find that adhering to certain dictates, rites is important, especially one like Sabbath day observance. "the Sabbath was made for man, not man for Sabbath." It is for our own good that we have a day of complete focus on nothing. No errands, no shopping, no I was curious about what this girl, raised Jewish in NY, currently living out Christian Faith in North Carolina. While I despise religion, and even Jesus says in Luke 15 that religion is more spiritually dangerous than overt immorality, I also find that adhering to certain dictates, rites is important, especially one like Sabbath day observance. "the Sabbath was made for man, not man for Sabbath." It is for our own good that we have a day of complete focus on nothing. No errands, no shopping, no nothing, but community with others who are also celebrating the sabbath. This is the day of rest that our bodies need! Our minds need it, too. And with it, we are able to have community the way that we were intended. Sorry, I diverted a bit, but this book definitely gets into that, but on the flip side, I find it easy for Lauren Winner to extol her virtues considering she was a Jew where it was easier to be a Jew and a Christian where it's easy to be a Christian! Try being a Christian in New York and a Jew in North Carolina!! Honoring my body, it is safe to say, is something at which I have failed. Gratitude for this conglomeration of blood, bones, organs, skin, tissues that God bestowed upon me has not been high on my priorities. Indeed, it would be also safe to say that I was taught to use it but not pay too much attention to it. Mom taught me to call certain body parts by made-up words. No doubt she was continuing a tradition her mother taught her and who knows who taught grandmom? Thing is, I thought those words were the correct ones which led to an embarrassing incident in fifth grade when we girls were locked in the auditorium with black paper over the glass so the boys couldn’t see in. We were to watch The Movie, you see, and I was astounded to find the narrator using other words for Down There. Up until fifth grade, I don’t recall actually thinking about my body too much though. I have one memory as I sat on the toilet to defecate, I leaned over to peer in between the rim of the toilet and the seat to watch my poop descend. Maybe I was six. But as I said, I never paid too much attention to it as long as my body did what I wanted it to do: run; walk; play; master the bicycle (what a challenge that was); leap over the hopscotch chalk; hide during hide and seek; seek during hide and seek; chase balls; chase the dog; chase the cat; attempt to climb the maple tree in the backyard until the All-Seeing Mom stopped me. All this carelessness changed in fifth grade. My younger brother and I were transferred from the Roman Catholic private school to public school. In public school, we had gym class. We girls had to change our clothes in the auditorium with black paper over the glass so the boys couldn’t see in. Where the boys changed, I no longer recall. From thence we were lead to the playground upon which lay a bunch of sticks, mostly straight but with a foot on them. The other girls ran to grab a stick and the teacher had to tell me what to do. We are going to play field hockey, you see, which I had never played. Those girls knew how to play, knew the rules, and I just stood there. For the first time, my body didn’t know what to do. I was a complete failure in gym class until freshman year in high school when we learned to play basketball. None of the other girls knew how to do that either and for the first time in gym class, I was equal to them. In fact, I excelled at basketball and despite being the second shortest kid in the school, I played center forward because I was really good at basketball and had an extremely reliable layup shot. The teacher, who was once our gym teacher for fifth and sixth grades until she was promoted to the high school wanted me on the school’s basketball team but by that time, I despised all sports. I had been miserable at them all until basketball and by then the habit of being failed by my body and me failing to respect my body was entrenched. So it went for a number of decades. Oh, there were exceptions when I enjoyed having a body and enjoyed the body of another, but on the whole, the purpose of my body was to contain my brain and that I valued. However, this habit of failing to honor my body has caught up with me and the end result of is a lymphedema issue which requires, among other treatments, that I take a diuretic. I am sure we all know what the natural result of that is and to tell you the truth, I resent having to interrupt my intellectual pursuits to honor my body and deal with the logical consequences of taking a diuretic. One morning, though, I thought to do something different. Since I had to sit there, why not read? I have no idea what Ms. Lauren F. Winner would think, but I have been reading her book, Mudhouse Sabbath, during these moments. Ms. Winner is a convert from Orthodox Judaism to The Episcopal Church. Well, I betray my Episcopalian chauvinism. She is a convert to Christianity, of course, who chooses to be one within TEC. In this book, she talks about various rituals and observances of Judaism, compares them to the teachings of Jesus and the early church, as she reflects upon their meaning on her life today. It is riveting. It grabs my attention, fascinating me while at the same time increasing my admiration and understanding of certain rituals and practices of Christianity, particularly within The Episcopal Church. It happens to be Lent as I experience both the effects of failing to honor my body and as I read this book. Reading this book, perhaps more especially because of when I am reading it and what my body is doing as I read it, tells me I have been wrong to live ignoring my body. Christianity is, after all, an in-the-body religion. It is all about God being in a human body. God honored the human body enough to be born into one so who am I to simply inhabit and use mine? Christianity is such an in-and-of-the-body religion that we in spiritual form eat God’s body and drink God’s blood. Hard to beat that for honoring and respecting the body. In every chapter, Ms. Winner discusses how in-the-body is Judaism and Christianity. The body is a part of every Jewish spiritual practice. The body becomes something much greater than the sum of those individual parts of blood, bones, organs, skin, tissues that God bestowed upon each of us. We use it not only when we eat but when we worship, mourn, are hospitable, pray, fast, age, celebrate weddings, and pass through doorways. Body, mind, soul, and spirit are a unified whole and I have been very wrong to think of mine only as a vehicle for hauling my brain from point A to B. A great read I pick up from time to time. Easy to read a chapter here and a chapter there when you have a few spare minutes. Shares how her past faith (Judaism) affects the way she views and lives out Christianity. Which I think Christians could use a lot more of, seeing as our faith came from Judaism to begin with. Great for expanding the way you look at things like death, hospitality, and aging. I really like Lauren Winner's integration of Judaism and Episcopalianism. She is somewhat rule-oriented, or at least "I'm not going to do this" oriented, which I find disturbing at times, but on the whole I found this little book rather encouraging. She's an academic and a Christian and she really cares about studying her faith(s). I love that there are notes at the back of the book. Easy introduction into some of the spiritual disciplines practiced in the Old Testament and by modern Jews. I heard Winner speak a few months ago at a conference, and I think I had too high of expectations of Mudhouse Sabbath after hearing her talk. I enjoyed the book. It was an easy read, but I think I was expecting a little something more. Beautiful. A library read, it's now added on wish list for my own copy. So many spiritually impacting and challenging thoughts of which I want to be reminded, not just for thought but for implementing. interesting read. i may read it again. Raised a Jew and now an Episcopal priest, she discusses Jewish ritual that would add so much to any spiritual life. Much to think about here and even to pit into practice. I really enjoyed this book. It discusses practices in Judaism that Christians could incorporate into our faith. I find that looking at how other faiths treat certain life moments helps me reflect on my own faith as well as expands and makes my religious practice more dynamic. In this case, Lauren Winner ended up doing the same as she converted from Orthodox Judaism to Protestant Christianity. In "Mudhouse Sabbath," she reflects on how certain life events as peaches by Jews could enrich the practice of Christians. I found this idea intriguing and while I appreciated the over-arching approach she took in th I find that looking at how other faiths treat certain life moments helps me reflect on my own faith as well as expands and makes my religious practice more dynamic. In this case, Lauren Winner ended up doing the same as she converted from Orthodox Judaism to Protestant Christianity. In "Mudhouse Sabbath," she reflects on how certain life events as peaches by Jews could enrich the practice of Christians. I found this idea intriguing and while I appreciated the over-arching approach she took in the book I was actually wanting more. Luckily there's a list of books in the back that relate to the topic which I'm going to have to start making my way through. On of the first topics Winner discussed was Sabbath. A lot of people are familiar with the Jewish idea of Sabbath, sundown Friday to sundown Saturday. However, there are some Christian denominations that do as well. I'm a Seventh-day Adventist and we keep the Sabbath from sundown to sundown and go to church on Saturday. I related to a lot of what Winner talked about in this section because without this 24hr period with no work and focus on God and family I wouldn't be able to handle all that life throws at me. Even if you go to church on Sunday, I would highly recommend that you make more time to get away from all the distractions of life for more than just the time church takes. There's something to be said for taking one day away from the hustle and bustle. The section that really touched me the most was on grieving. Winner flat out states that Jews have a better grieving than Christians. Which isn't to say that Christians grieve "worse" than Jews, it's just that the Jewish tradition for grieving has a deeper connections to those suffering a loss than the Christian practice. This spoke to me as I've always felt that Christians tend to rush the grieving process because, "yes it hurts but Jesus is coming and He'll explain it all then, so don't spend too much time crying." I think this leaves a lot of Christians feeling a lone and almost ashamed to be grieving after the funeral. The Jewish practice expects its adherents to be grieving for awhile after a loss which, to me, seems more healthy. Winner explains that the Jewish community doesn't step in until after the funeral because the funeral is the beginning of the grief process; pre-funeral the family is still "dying". For seven days after the funeral the family stays home and the community steps in to provide meals and comfort. Towards the end of the seven days, the family is escorted on walks with their fellow believers as a symbol of coming back into the community. From there the family is slowly encouraged to return to their place in the community. This is after sitting in a new place in the synagogue for one week, not fellowshipping with friends after the service for another week, then finally integrating back into their place figuratively and literally. Then there's the practice of saying Kaddish, a prayer praising God in a time of grief. Those who are grieving a loved one are expected to say the Kaddish in the morning and the evening for certain time and at a specific time in the Sabbath service. The amount of time between the Kaddish prayers grows, slowly easing the griever out of the grief process. Frankly, I find comfort in structure. Such a grief process sounds constraining to some, but in a time when all seems to hurt and there's a certain feeling of chaos, having these practices to rely on would bring a certain since of peace as I would know what others were expecting of me and what I expected of them. I like that there's a communal aspect where members of the community are expected to be involved in their fellow believers' grief process. An interesting little book, which is so simple that it can be read in a couple of hours. I appreciated Winner's insights into areas of Christian practice that could be improved by a deeper knowledge of Jewish customs. This was especially true in her chapter on marriage (as more communal than private), on the Sabbath (as a reclaiming of our birthright rather than as an adoption of a Jewish ritual), on the human body (Jews are less gnostic than Christians in this), and on aging. Nothing earth shatt An interesting little book, which is so simple that it can be read in a couple of hours. I appreciated Winner's insights into areas of Christian practice that could be improved by a deeper knowledge of Jewish customs. This was especially true in her chapter on marriage (as more communal than private), on the Sabbath (as a reclaiming of our birthright rather than as an adoption of a Jewish ritual), on the human body (Jews are less gnostic than Christians in this), and on aging. I really enjoyed reading chapters of this book as part of my sabbath practices this summer. Without having read Winner's other work (but knowing the gist of her life/faith story), I found myself continuously wondering why she hasn't retained more of these Jewish practices, incorporating them into her Christianity. Regardless, I really appreciate both this glimpse of understanding into Jewish life as well as the reminders about the importance of intentionality, ancient ritual, and daily practice. This book was short, but so rich. I loved the way that Lauren wove her knowledge of Jewish practice and traditions into her Christian faith. As Christians, we can definitely learn from the Jewish emphasis on community and their dedication to practicing the more tangible expressions of faith.
" Practicing the spiritual disciplines does not make us Christians. Instead, the practicing teaches us what it means to live as Christians." It was interesting to me to learn of the Jewish rituals and liturgies that give a rhythm to daily life, and provide a framework for grieving, and weddings, etc. Sometimes Christianity throws out anything that seems too liturgical, too routine, even too "Catholic," if you're in a Protestant congregation. But there is much to be said for keeping God an active part of each part of the day. This is a quick and easy read, and worth it. This was a very thoughtful and thought-provoking book. I got it from the library, but I may need to buy a copy, because I think it will be something I pick up again. It was a very insightful view of Jewish spiritual practices for a Christian. Easy to read and very engaging. You'll want to read it with a friend or group so that you can discuss it when you're done. I read it in one day, but I took pages of notes. I would have given this excellent book 5 stars except that it seemed to just end. I guess it was so good I wanted there to be more. I think a final chapter wrapping it all together would be a welcome addition. However, I have to say, this book now has writing in the margins and gel highlighted segments--and I don't often do such things. It means it's a keeper and worth re-reading later for deeper insights. Definitely eye-opening. “Christians and Jews hold in common one theological basis for hospitality: Creation. Creation is the ultimate expression of God's hospitality to His creatures. In the words of on rabbi, everything God created is a "manifestation of His kindness. [The] world is one big hospitality inn." As Church historian Amy Oden has put it, "God offers hospitality to all humanity... by establishing a home.. for all." To invite people into our homes is to respond with gratitude to the God who made a home for us.